Preparing your computer for your first Collaborate session. This image is intended to be used as the first slide that a student sees when entering a session. 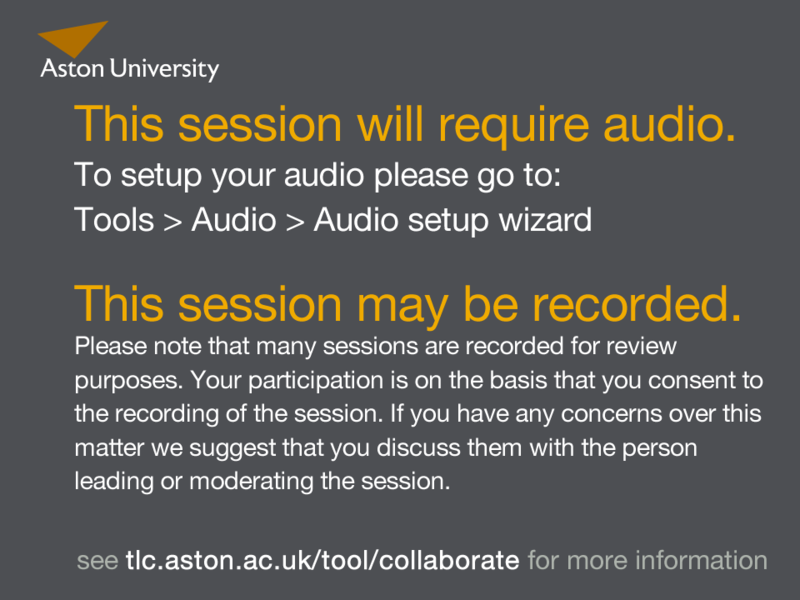 It gives them some basic information regarding set up of their audio and reminds them that they are likely to be recorded during the session. To save a copy to your computer, right click the image and click Save Link As (or similar).